In the modern age of globalization, states pursue their national interest through Public diplomacy, and it is used as a strategy to win the hearts and minds of other state locals instead of launching hidden propaganda against any state, and that’s exactly what India is doing. 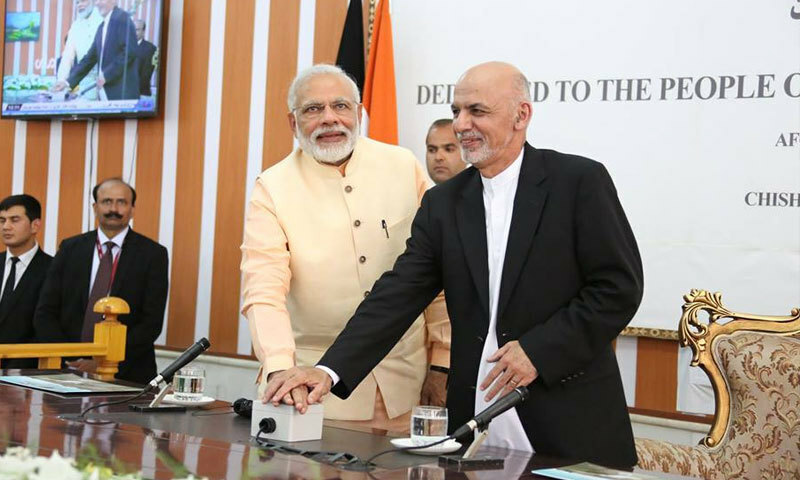 India’s growing cooperation with Afghanistan is a clear indication of its increasing regional and global ambitions. Historically India has always been supportive of Afghanistan, but since 2001 with the defeat of Taliban government, the importance of Afghanistan for India has significantly increased over the period due to the strategic, economic and geopolitical concerns. Prime Minister Modi has emphasized various times over India’s commitment towards building a stable, safe and prosperous Afghanistan. To present its positive image in front of the world, India is using public diplomacy as a tool to achieve its set goals of vanishing Pakistan’s role in a brotherly Muslim nation to become hegemon of the South Asian region. Indian investment in Afghanistan makes it the fifth largest donor globally and the only donor from the South Asian region. In 2011 India and Afghanistan also signed Strategic Partnership Agreement which includes enhancing Bilateral relations and co-operating on multiple fronts. India has invested more than 2 billion dollars in health, education, telecommunication, economic sectors, construction of roads, hydroelectric generation projects and in humanitarian aid activities and has constructed Afghan parliament in Kabul, initiated medium and long scale projects and gave financial aid in the construction of India –Afghanistan friendship dam also known as “Salma Dam” in Herat province with cost of 290 million dollar. The Indian government is providing scholarships and initiated vocational training programs under Indian Technical and Economic Cooperation (ITEC), Indian Council of Agricultural Research (ICAR) and Indian Council for Cultural Relations (ICCR). Approximately 1,000 scholarships are offered every year which allow students to visit India to pursue their higher studies under ICCR. According to an estimate, more than 5,500 Afghan students are enrolled in various Indian universities. Scholarships are also provided in the field of music, learning Indian dance, painting, and sculptures. Self Employed Women’s Association (SEWA) is providing training to thousands of Afghan women at a lower level. Moreover, many cultural events are taking place in India to strengthen the relations. Hindi films and TV series are also quite popular among Afghan locals. Along with public diplomacy, India is also spending a huge amount on Economic diplomacy and Afghanistan market is quite favorable for Indian companies and the private sector. Also, Indian investment in Iranian based Chabahar port will allow India to have easy access to landlocked Afghanistan and Central Asian Republics rich gas and oil reserves. Expansion of Public diplomacy between India and Afghanistan has minimized Pakistan’s influence, and Afghanistan openly shows support for India and blames Pakistan for all the damage done to their country in past three decades. Pakistan has always been accused of sponsoring terrorist outfits against India and Afghanistan but in reality, Afghanistan land has been used by India multiple times to train terrorists to produce a chaotic situation in Balochistan and to overall destabilize Pakistan. Indian involvement in Afghanistan has created an alarming situation for Pakistan because Afghanistan is considered as “Strategic depth” and a zero-sum game for Pakistan. Pakistan cannot afford the presence of its time-tested enemy next to its borders. So Pakistan needs to have a smart approach in dealing with its hostile neighboring states before it’s too late. There is a dire need to devise an effective policy to counter increased Indian influence and its expansionist policies. So cultural programs and visits of delegates must take place to bridge the gap between Pakistan and Afghanistan and to ensure harmony, peace and above all to counter Indian hegemonic designs. Afghanistan’s stability and prosperity are in the more significant interest of South Asian Region so Pakistan and India should avoid turning Afghanistan into a battleground. India is doing great in Afghanistan through soft power public diplomacy and enjoys goodwill amongst the ordinary Afghans, even what are the intentions, doesn’t matter. If Pakistan wants to counter India in Afghanistan, It should also use its own soft power for the betterment of Afghans rather than supporting terrorists. It is must for the war-shattered economy and infrastructure of Afghanistan. They need just help, kindness, sympathy.